Today’s free design resource Apple Watch GUI PSD comes from imPekable. 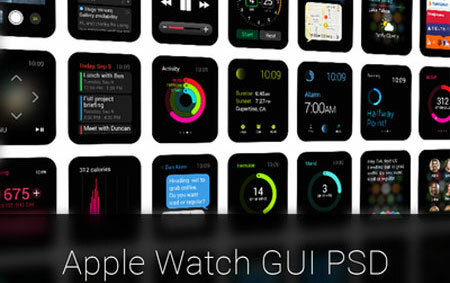 The first Apple Watch GUI PSD. The idea is to help other designers get off the ground designing beautiful Apple Watch apps faster and better. This is also a way of us giving back to the design community. We’ve been able to learn a lot using the tools and templates made by amazing designers. This GUI set has been designed using vector shapes comes in layered PSD.